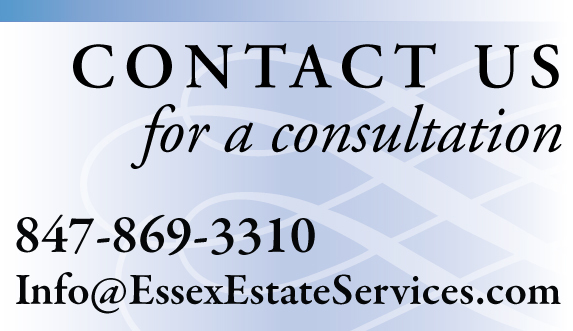 Appraisals and Valuations | Essex Estate Services, Ltd.
ESSEX ESTATE SERVICES offers a full range of appraisal services for personal property and fine jewelry. 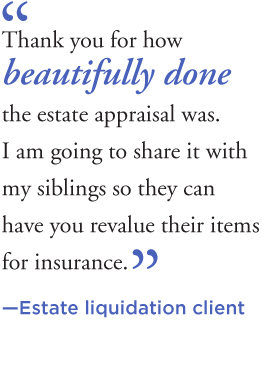 We provide fair market value appraisals for estate tax, resale, equitable distribution, donation, gifting, and retail replacement appraisals for insurance purposes. Essex conducts appraisals thoroughly, confidentially and in conformity with the guidelines of the International Society of Appraisers (ISA), the National Association of Jewelry Appraisers, (NAJA), and the Appraisal Foundation’s Uniform Standards of Professional Appraisal Practice (USPAP). Richard Meliska is an Accredited Member with the ISA. Rich conducts pre-sale valuations and formal appraisals for household contents and personal property. Merrill Essex, G.G. (GIA) is a graduate gemologist and a Senior Member with NAJA. Merrill performs fair market value and insurance replacement appraisals for fine gold, platinum and silver jewelry, loose diamonds and colored gemstones, estate, antique, period and modern or new pieces, and new or pre-owned fine timepieces. 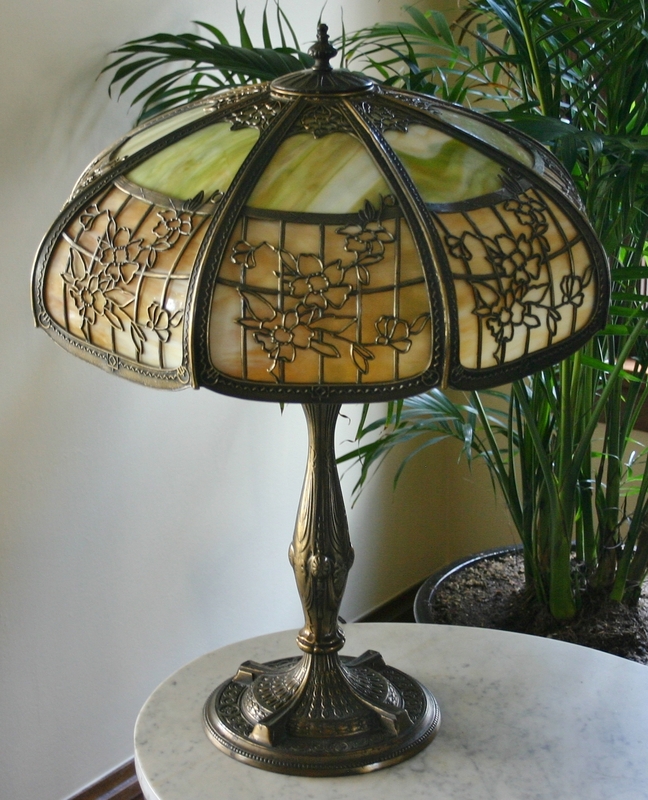 Depending upon your objectives for the assessment of an individual item or a collection, we may perform either a formal appraisal or an informal valuation prior to sale. We also provide appraisals for specific circumstances including pre-demolition/deconstruction for donation, equipment resale, ticket donation, museum donation, restoration or damage assessment. When do you need an appraisal? What type of appraisal do you need? You need an FMV appraisal when you want to determine the value for estate tax, donation, gifting, resale or equitably distributing items within a family. FMV appraisals represent the value of an item in the secondary/pre-owned market as if purchased from a dealer or at auction. FMV appraisal value is usually a proportion of the retail value, which is determined by the rarity and the demand for that item in the current market. You need an RP appraisal when you plan to own, use or wear a valuable possession and need to insure it against loss, theft or damage. RP appraisals represent the value that you would have to pay to replace an item purchased in the retail location where you normally shop for this type of item.